NASCAR is a truly iconic brand that is woven into the very fabric of American culture. Since the first race in Daytona Beach in 1948 to today, NASCAR has been thrilling audiences across the nation with the adrenaline-infused excitement that is Stock Car racing. 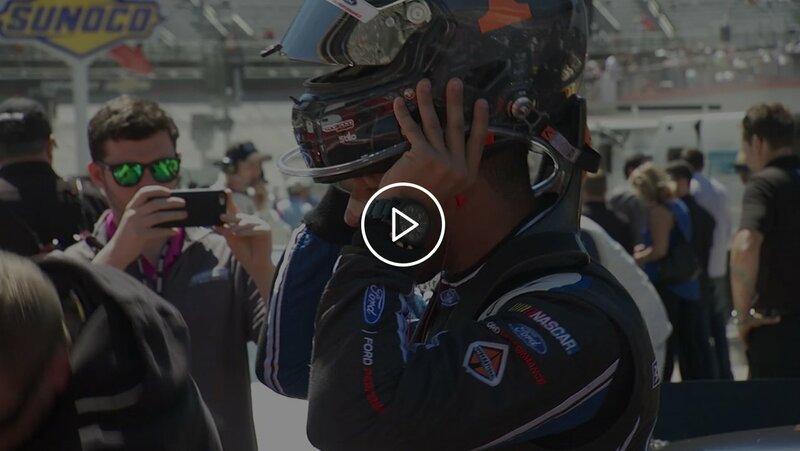 Over these last 70 years NASCAR has continued to up the ante when it comes to excitement and now is seeking to push the envelope even farther by exploring new ways of engaging a digitally savvy audience. How do we make a new generation of fans feel the need for speed? NASCAR has been a staple of American motorsports since 1948, but this iconic sport was having a difficult time connecting with a new audience; namely the young and digitally savvy Generation Z. In order to take its brand experience into new areas and demographics, NASCAR selected Fuel to take key steps to engage this new generation where they live; the digital world. In order to reach our target, we created the digital presence for NASCAR’s new sub-brand that young fans could connect and grow with. Motorsport’s first national learning and entertainment platform for kids, Acceleration Nation is a custom app available on iOS and Android platforms. The app gives fans the opportunity to customize and race their own NASCAR race car or truck, earn their very own NASCAR trophies, get to know their favorite racers, check out upcoming races and tracks, and even browse a huge library of content curated specifically for them – all while learning about the sport, speed, and science of NASCAR. A dynamic and interactive platform designed specifically for the 8-12 year-old audience, the Acceleration Nation app drove over 500k downloads and saw a 30% increase in session time in 2018 alone, continuing to build a digital fandom for one of America’s most iconic brands.